Historical Marker #1803 in Harlan County commemorates Lynch, the largest company-owned town in Kentucky through World War II. Lynch was established by the U.S. Coal and Coke Company, a subsidiary of the United States Steel Company, in 1917. The town was finally completed in 1925. Named for the "Father of Mine Safety," Pennsylvanian Thomas Lynch, the town was home to about ten thousand people at its peak. Lynch was considered one of the model coal camps in Appalachia because of its quality health care, education, housing, social services, wages, benefits, and recreation. The more than one thousand buildings in Lynch provided housing for the multitude of nationalities that flocked to Harlan County to work at the coal camp. The remaining buildings included a commissary, post office, theater, hotel, hospital, churches, and schools. By the height of World War II, the mining complex employed more than four thousand people. The majority of the more than ten thousand tons of coal produced daily was shipped to steel mills near Chicago, providing a steady market for Lynch's main product. Having the largest capacity coal tipple in the world, and being the first fully-electrified coal mine in the nation, Lynch set the world record for coal production during a single nine-hour shift in 1923 at 12,820 tons. Lynch was operated as a closed community with a corporate owner who single-handedly made political and economic decisions for the town. The U.S. Steel Company provided all of the services citizens would expect: policing, maintaining schools, hiring company preachers and undertakers, and caring for the sick. There was no mayor, city council, or sheriff. 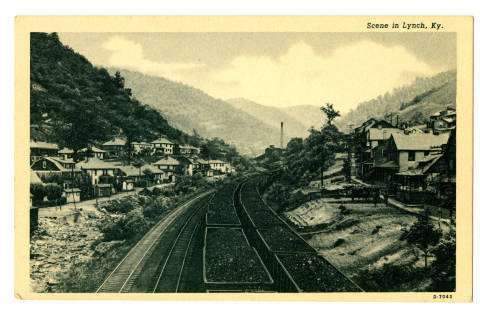 Following World War II and a decline in coal production, people began to migrate from the hills of Lynch in favor of city life. U.S. Steel tore down much of the town in the 1960s. What was left was sold to the residents and Lynch was incorporated as a town, complete with a mayor and city council. 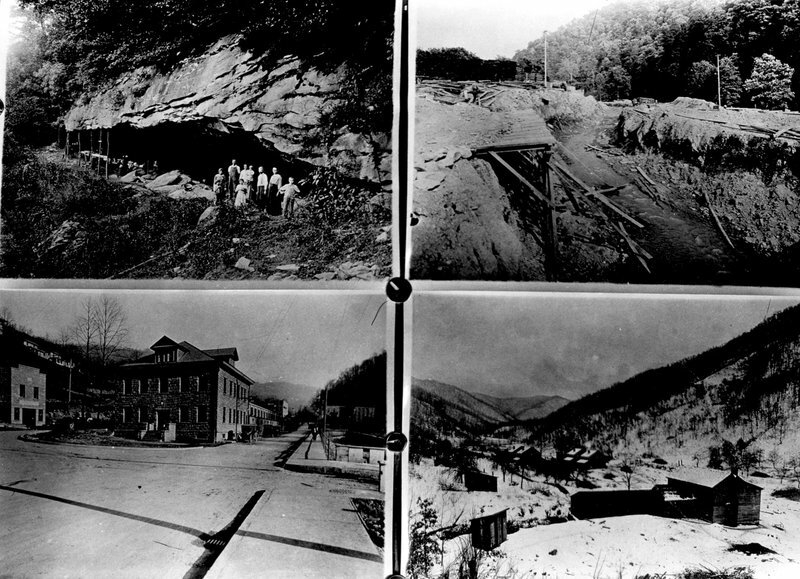 Four Snapshots of Lynch: Located in Harlan County, Lynch operated under a corporate owner until the 1960s when it was incorporated as a democratic town. Courtesy of the University of Kentucky. 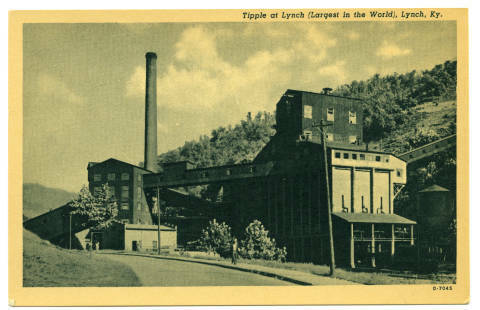 Company Store: Lynch was considered one of the model coal camps in Appalachia because of its quality health care, education, housing, social services, wages and benefits, and recreation. Courtesy of the University of Kentucky. 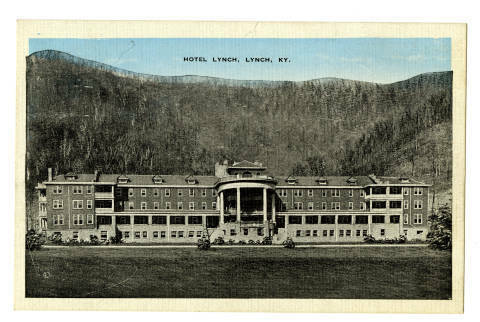 Hotel Lynch: Lynch featured the amenities found in any small town: a commissary, post office, theater, hotel, hospital, churches, and schools. Courtesy of the Kentucky Historical Society. Coal Cars: Lynch was established by U.S. Coal and Coke Company. Lynch produced large amounts of coal that was shipped to steel mills in the Chicago District. Courtesy of the Kentucky Historical Society. Tipple: This postcard photograph shows a coal tipple at Lynch, Kentucky. Courtesy of the Kentucky Historical Society. 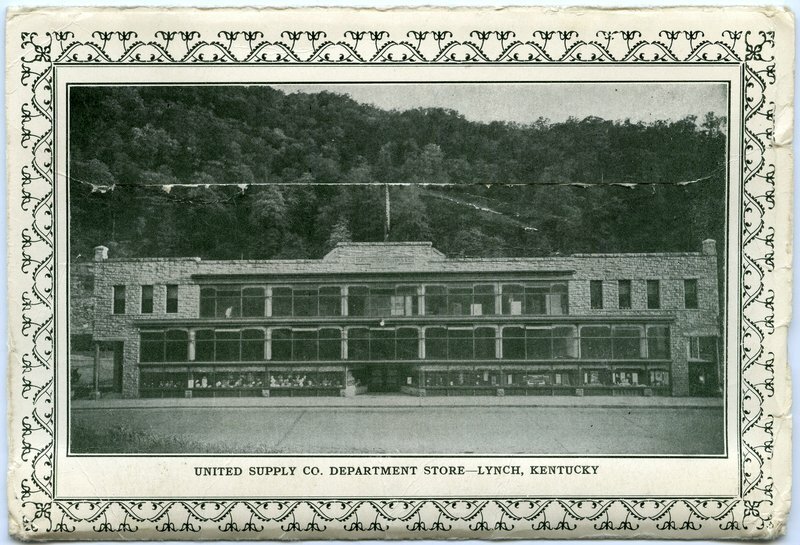 McKenzie Martin, “Lynch,” ExploreKYHistory, accessed April 22, 2019, https://explorekyhistory.ky.gov/items/show/554.